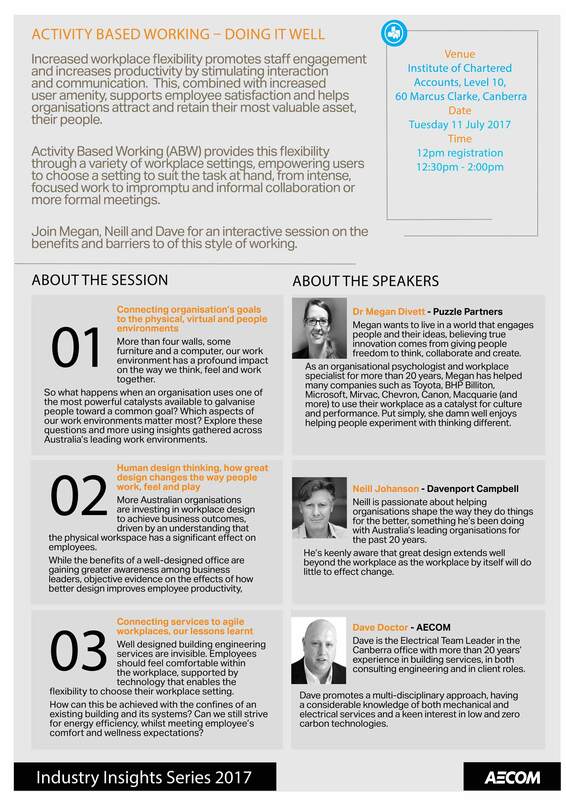 Next Tuesday the 11th of July, Neill Johanson will be speaking at the AECOM Interactive Session Industry Insights Series. Neill will be speaking about Human Design Thinking™ – how great design changes the way people work, feel and play on the topic of Activity Based Working (ABW). The other guest speakers include Dr Megan Divett from Puzzle Partners and Dave Doctor from AECOM. The Interactive Sessions are taking place in Canberra next Tuesday. To find out more about Human Design Thinking™ read about it in our Brand Book.